We’re moving towards the world of portability where tablets and smart phones are going to be the last word for connectivity. Large number of users is seen browsing for information via their Smartphone, tablets or mobile phones. In recent times, the demand of mobile web has reached its zenith and is on an incremental curve. Especially, with regards to SEO (Search Engine Optimization) and increase of mobile traffic. As its gaining momentum, optimizing the site for high page ranks makes lot of sense for new age businesses. Therefore, the SEO experts need to take care of optimizing the site with respect to PC as well as on the mobile. 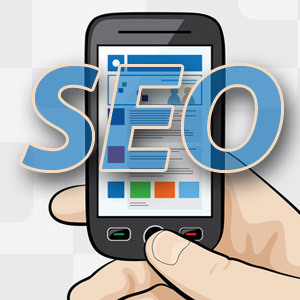 With regards to Mobile SEO there are few facts which are bottle-necks. Some of the most important factors pointed by Everspark Interactive with regards to mobile optimization are: how to handle screen sizes (as there are wide range of sizes available with the mobile. ), how to restructure and present it in different forms with respect to same information. The solution which triggered the mind was of using a responsive web design (is the site which dynamically changes the size of the site according to the screen resolution) or by developing mobile oriented sites. When web search concentrates mostly on mobiles and tablets, one should be sure that people are using touch screen keys and surely are not comfortable with typing paragraphs altogether. If you wish to show the search on the mobile then make sure that the keyword mentioned or highlighted should be of short length. Please take a note of the Google search options, as people most of the times intend to select those keywords which Google offers. So it’s recommended that you should target the keywords based on Google’s keyword recommendations. It’s recommended that webmasters should try to implement the Industries’ best practice for Responsive Web design on their websites. This can serve the same HTML devices which were being used previously. Whereas the queries related to the CSS media can be rendered based on the device on which it’s being opened. Sites which already have different websites with regards to mobile and PC can add-separate URL (i.e.-sitename.com or m.sitename.com) and should add different tags accordingly while working on SEO. Almost all the searches are influenced by the geo-specific parameters on the mobile set. This means that the SEO pointers should tweak with the geo-coordinates of local areas. By doing this, you are enabling Google in identifying the optimized site with the perfect output for displaying on the local search engines. Eg google.de (Germany) , Google.co.in (India) , google.com.sg (Singapore) and so on. When you are implementing your pages basically for the Smartphone then you should not forget to add the following i.e. rel=canonical .This will be redirecting to your users to PC on the same page. But when the Smartphone user is visiting the conventional site, he will be instantly directed to a smaller page on the mobile. It is applicable in any URL infrastructure. This implementation will be eliminating the need of separate sub domains or sub directories for the Smartphone. Apart from the tips above. Ensure your website embeds a social media link (facebook, twitter , Pin-it) and allows your users to login to the website with their social media credentials.